It doesn’t take more than a quick glance toward the Ward Village skyline to know that change is underfoot. Standing tall on Halekauwila Street you’ll find that Ke Kilohana has quickly come to life and is nearly ready to welcome its first residents. 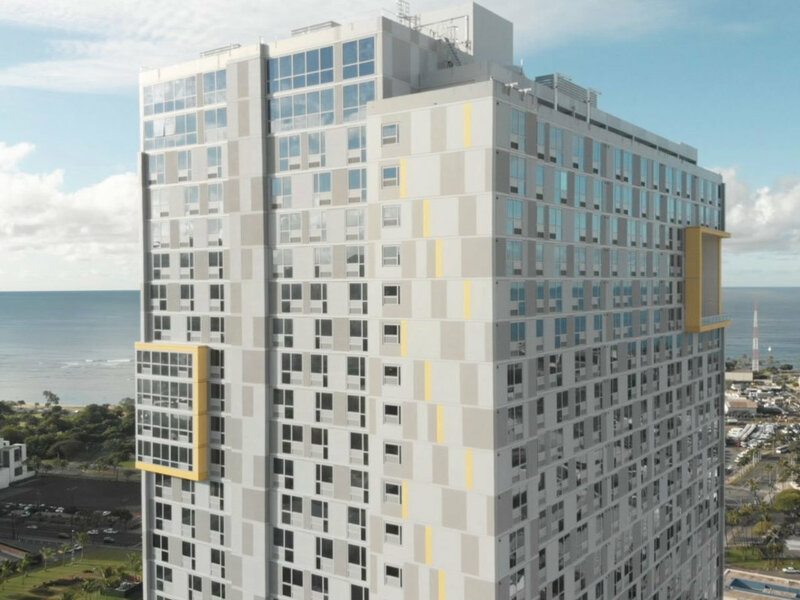 With its eye-catching geometric façade, complete with yellow accents that seamlessly blend into the warm Hawaiian sky, the building demands attention. 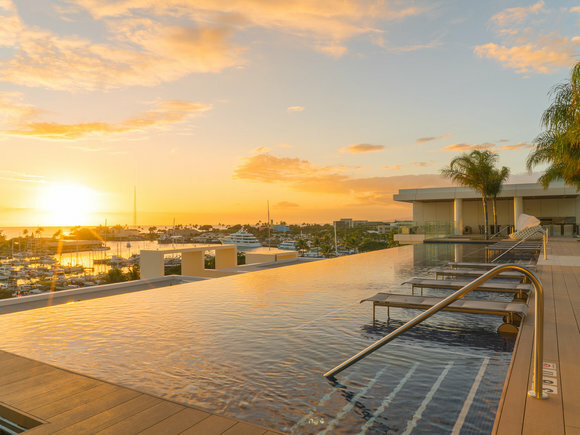 As much a work of art as it is an architectural marvel, the color palette references the Native Hawaiian legend of Keaomelemele, a goddess who inhabited the sun-kissed, golden clouds. Legend states that she was one of the first people brought by the gods to find a home in the Pacific. 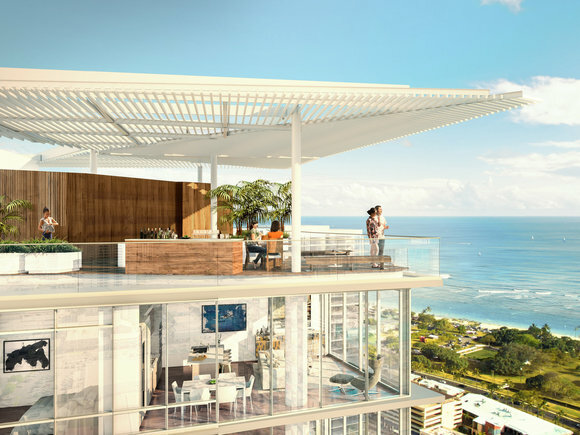 Today, Ke Kilohana stands as an integral element of Ward Village’s ever-evolving residential community. Honoring the westernmost peak of the Ko‘olau Mountains, Ke Kilohana will soon become a new home for hundreds of kama‘aina residents. Of the 424 total homes in Ke Kilohana, 375 were priced to meet the demands of local households with incomes that ranged between 100 and 140 percent of Honolulu’s area median income. 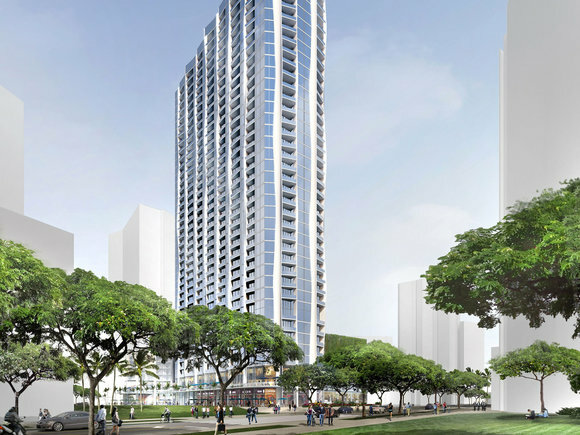 The first wave of Ke Kilohana residents will soon be experiencing the best of contemporary urban life in the heart of Honolulu. Each homes’ interior design offers a progressive take on vibrant island-inspired décor that compliments Ward Village’s dynamic urban lifestyle. 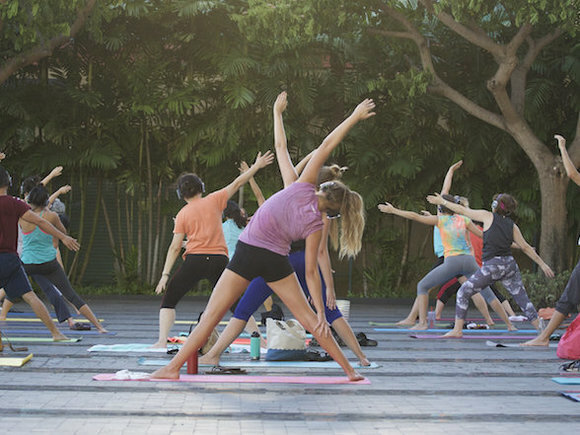 The tower’s amenities include a movie theatre, music studio, a fitness center with on-demand workout classes, bike and surfboard storage, flex-work spaces, a pet area, indoor and outdoor children’s play areas, a sky deck with barbecue grills, and even a karaoke room. Situated next to the forthcoming rail line, residents will be able to zip through the city in a moment’s notice. Framed in vibrant yellow as seen street side, two signature sky lānai offer Ke Kilohana residents breathtaking mauka and makai views and ample lounge space for entertaining. 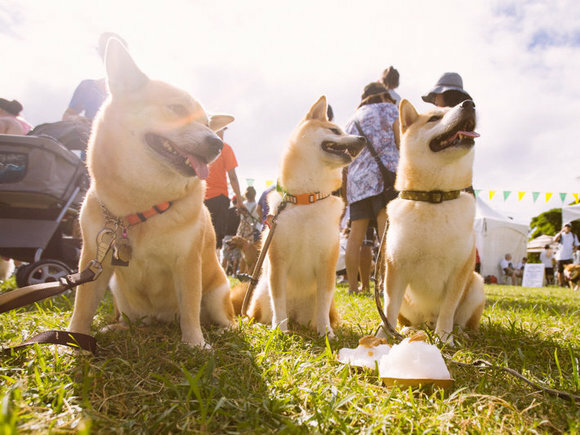 For decades to come, residents of Ke Kilohana and our thriving community will revel in this urban hub, relishing a new lifestyle where the joys of coming home never seem to fade. As we inch closer to yet another milestone, we’re thrilled to mark a new chapter in the illustrious history of Ward Village and warmly welcome a new wave of Ke Kilohana homeowners into our growing community. 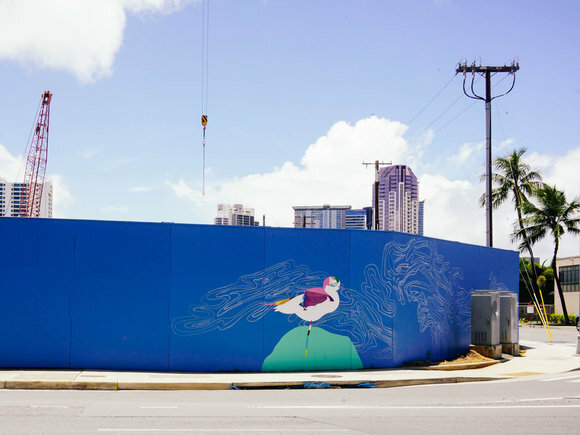 With a 400-foot canvas to utilize, creativity soars on Ae‘o's construction barricade. 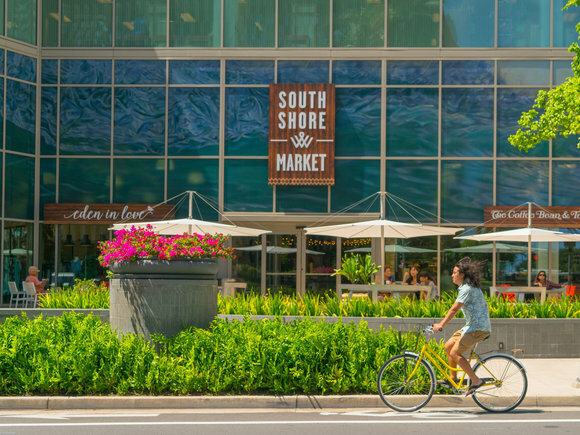 2016 has been a monumental 12 months for our neighborhood at Ward Village.